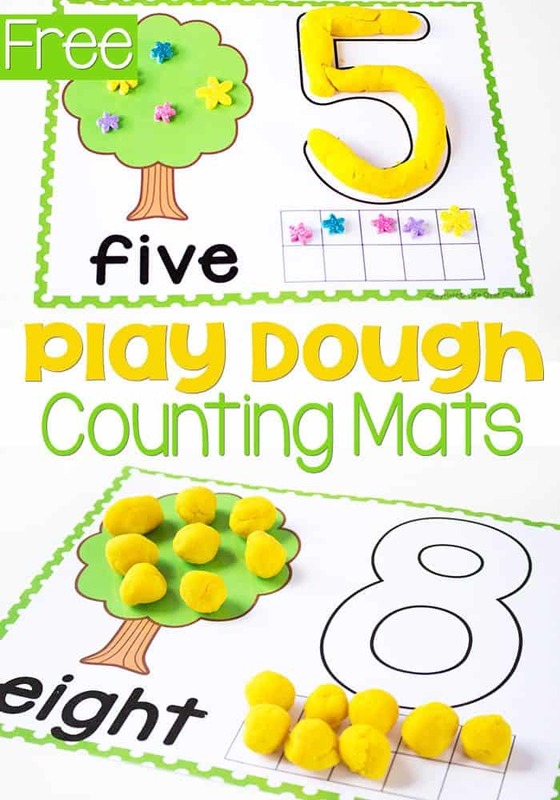 Here’s a cute little set of free tree play dough number mats for counting to 10! We have loved using these mats to practice our number skills! I love that number mats address so many skills, but it still feels like play for the kids. Decorate the tree with apples, lemons, flowers or whatever thing your child wants to create with her play dough. The possibilities are endless! Anything you can think of. 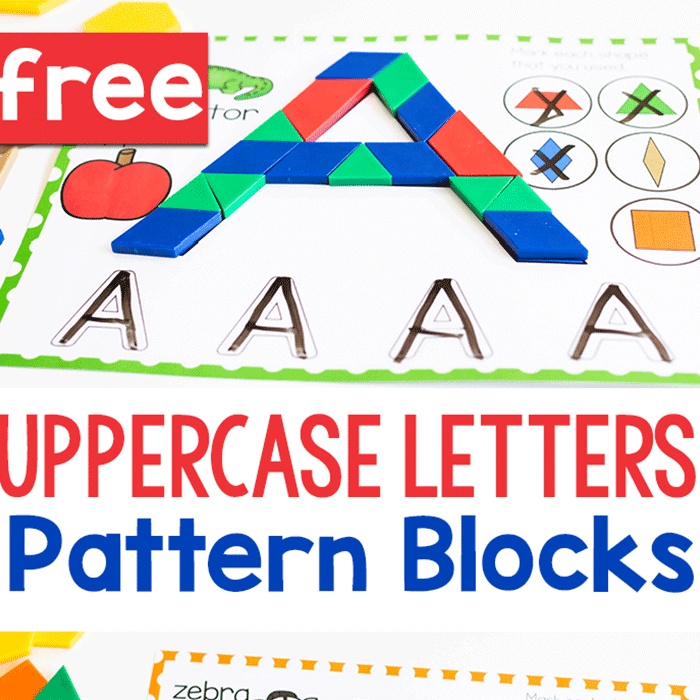 Let your child’s imagination run wild! Get them excited about numbers and taking ownership of their learning. To prepare the number mats simply print and laminate. 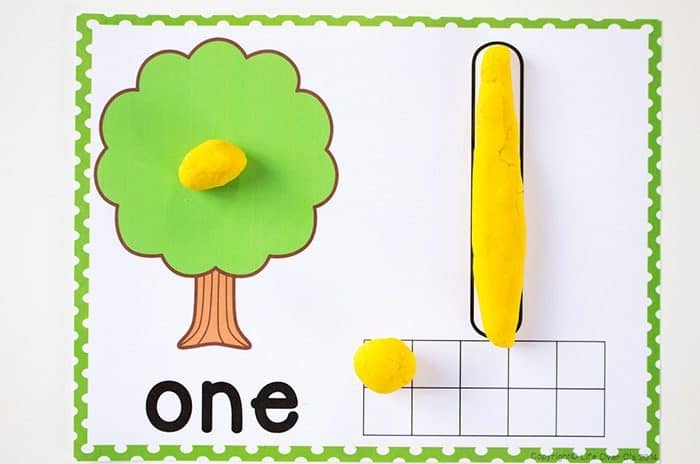 Alternatively, you can slide the play dough number mats into write and wipe page protectors, but they will not be as sturdy to allow multiple uses. 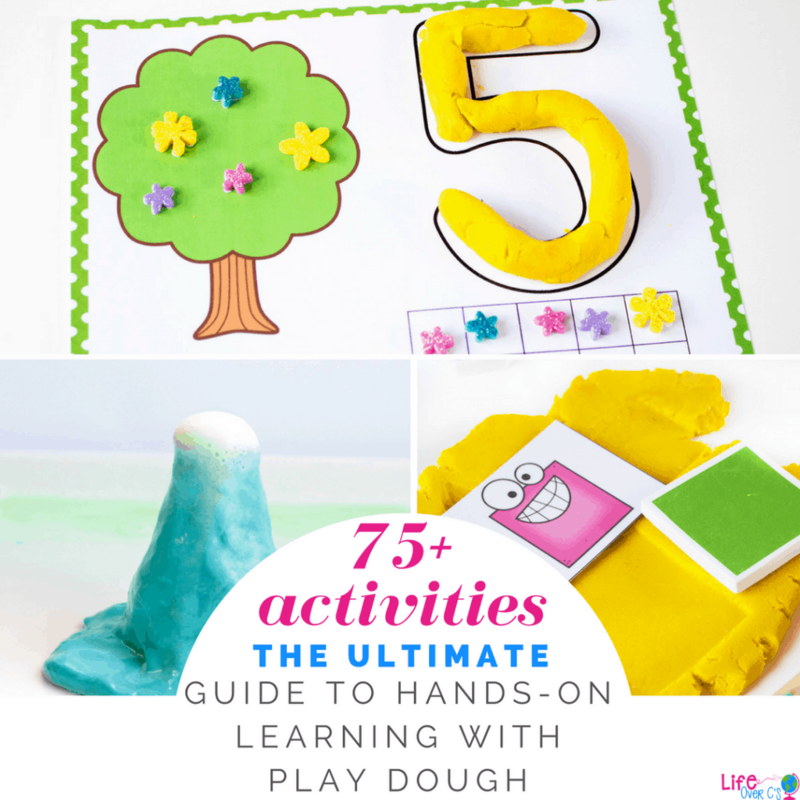 Rolling out the play dough for form the numbers helps develop the fine-motor skills required for writing, in addition to teaching little ones number formation. 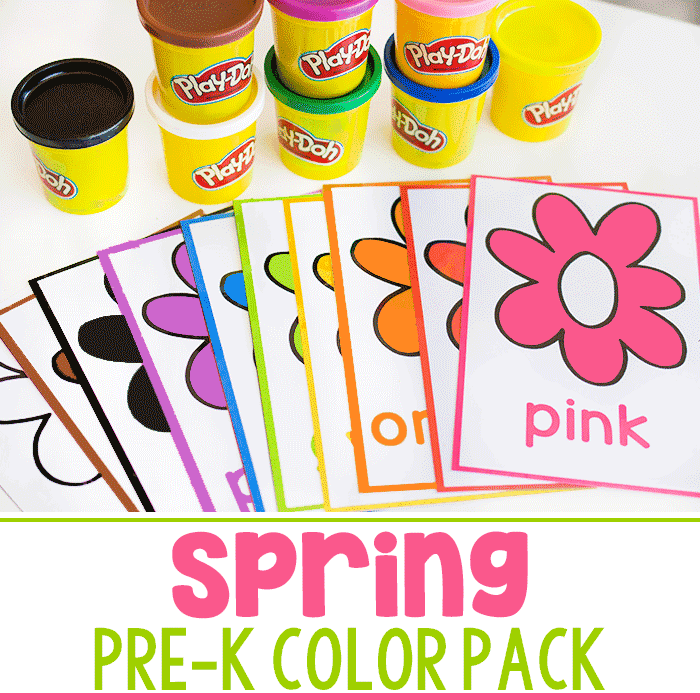 Have them trace the letters with their finger or a dry erase crayon. 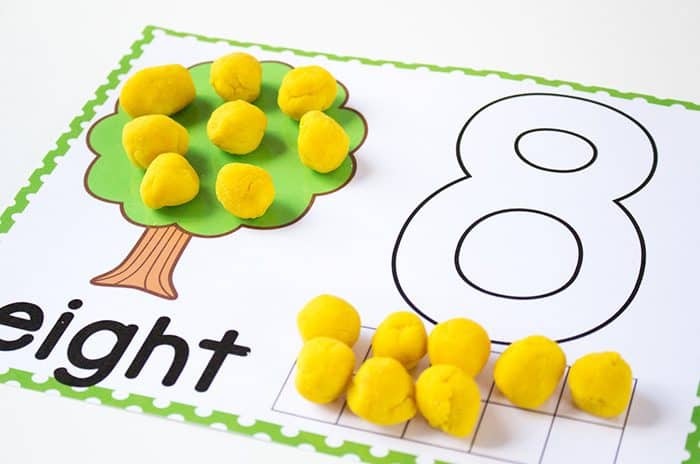 Then, have them fill in the ten-frame with play dough balls to represent the same number. 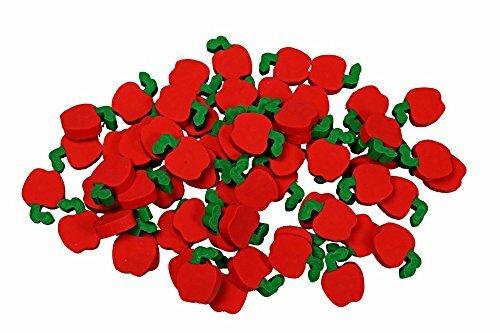 Instead of play dough, you could also use math counters, unpeeled stickers (like the foam stickers we used below), game pieces from Hi-Ho-Cherry O games or small food toys. We have also used these buttons! 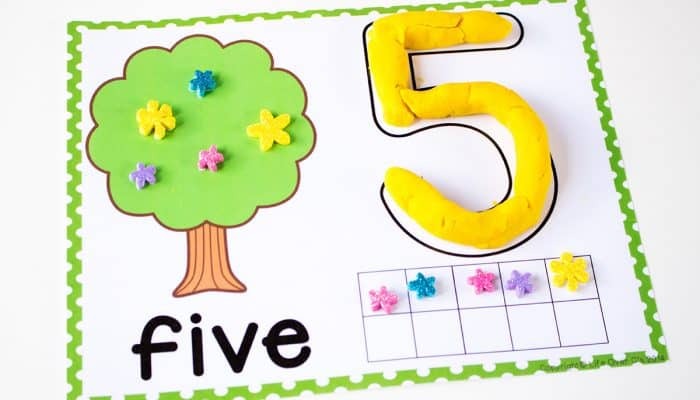 Extend the activity for older learners and have them use two colors of play dough to create addition problems on the tree and in the ten-frame. 1 apple + 3 apples= 4 apples. Or fill out two number mats and discuss greater than/less than. A visual model is great for kids who don’t understand yet understand why one number is “greater” than another. But most importantly, have fun with the play dough number mats! Help! I could not down load the wonderful mats! Please let me know how I can get these! Jennifer, You can get the mats by clicking on the final picture of the mats or the link above. Add the mats to your ‘cart’ and ‘checkout’. You will need to enter your e-mail and then an e-mail with a link to the download will be e-mailed to you immediately. Are these still available? Any time I click on a picture or link it says “page not found” or takes me to the “store” but nothing is listed in it. Thanks! Erica, Yes, These are still available. I was having some technical problems that were slowing down the loading of my site. It’s fixed now and you should be able to click on the links above and go into the shop to download them. You’re welcome! Thanks for stopping by! Be sure to sign up for my weekly newsletter, so that you can catch all of the freebies! You should get a second e-mail with a link to the download. If you have not received that e-mail, I suggest checking your spam folder. I have not had any instances where the e-mails were not sent, so I’m quite certain that you would have received it. Then, you click on the link and it should automatically start downloading for you. If it does not automatically download, then the problem would be on your computer’s end. Let me know if you got the e-mail and tried clicking the link. 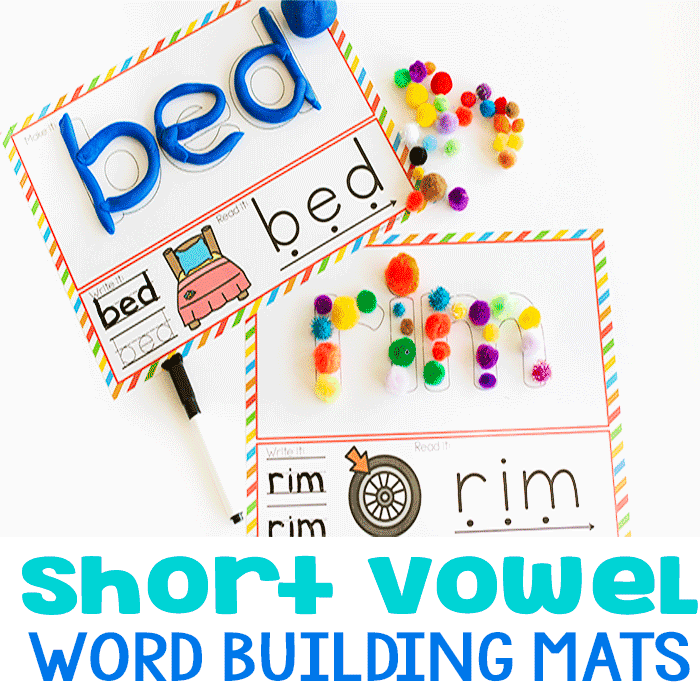 Please email me the free mats for counting! If you click the download link it will take you to my shop where you can download the mats. After you add them to your cart and checkout, you will receive two e-mails. The first will be an order confirmation and the second will contain a link to the download. Click the link and it will automatically download to your computer. Did you click through to the store side of the website? You need to click through the link which will take you to the store. Then, click the ‘add to cart’ button, then ‘checkout’. After that you will receive two e-mails. One will be a confirmation of the order and the second e-mail will contain the link for the download. It is very possible that the second e-mail will go to your spam folder. If you do not see it within 5 minutes of making your order, I suggest checking your spam folder. 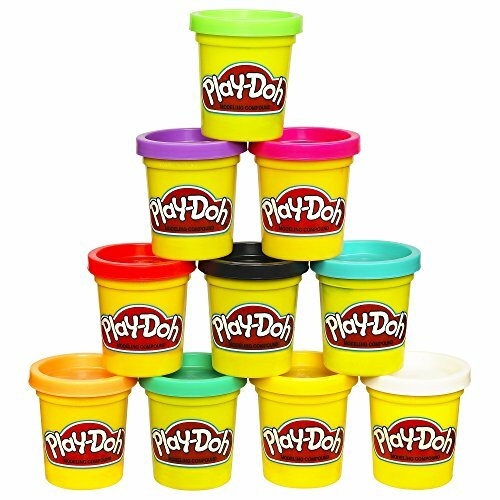 I love the look of your play doh number mats and I have signed up to recieve them but they have not come through yet. I have checked my spam folderand they arenot there. Any suggestions. Without knowing the e-mail that you used to order the mats, I can’t check the status. I checked for the e-mail that you used to post this comment and have no record of an order. It’s possible that the order did not complete for some reason and you would just need to ‘purchase’ it again. If you register for an account and then order the mats, you can always log-in to the site and your ordered items will be available for download directly from the site instead of through an e-mail. Absolutely love these. My kids are excited to use them next week! Just downloaded these and they are so cute! Love em. Thank you so much! I wanted to ask, do you have these for numbers 11-20? As a K-6 certified teacher I just have to say how thoroughly impressed I am with the quality of your resources. I am so grateful you offer so many for free. So generous! I’m now a stay at home mom and beginning to dabble in homeschooling my soon to be 3 year old and I’m so happy I found your site and resources. I’ve joined your newsletter and I look forward to purchasing your products in the future. Aw! I’m so glad they are helpful to you!